Rich Harrison, a Registered Landscape Architect, is the director of Landscape Design at Metro Blooms. Rich has been a Metro Blooms staff member for five years. Rich will teach about natural processes, using an approach focused on how we can play a more responsible role living in the natural environment. Rich will include his background and experience, learning and working for 25 years, designing landscapes for improved water quality. He will also help you to assess your land to plan a more ecologically integrated landscape. Rich's goals align closely with Wild Ones, restoring more life and diversity to our human-dominated world. He recognizes on-site treatment of stormwater runoff is the best solution for reducing downstream pollution to save our precious water resources. The audience will learn an abundance of tools and techniques to implement solutions to the problems with declining pollinator diversity that Scott Leddy enumerated at our September meeting. Rich is a RLA (Registered Landscape Architect) with a MLA (Master of Landscape Architecture) degree from the U of MN. His work focuses on sustainable design, place making and community development. 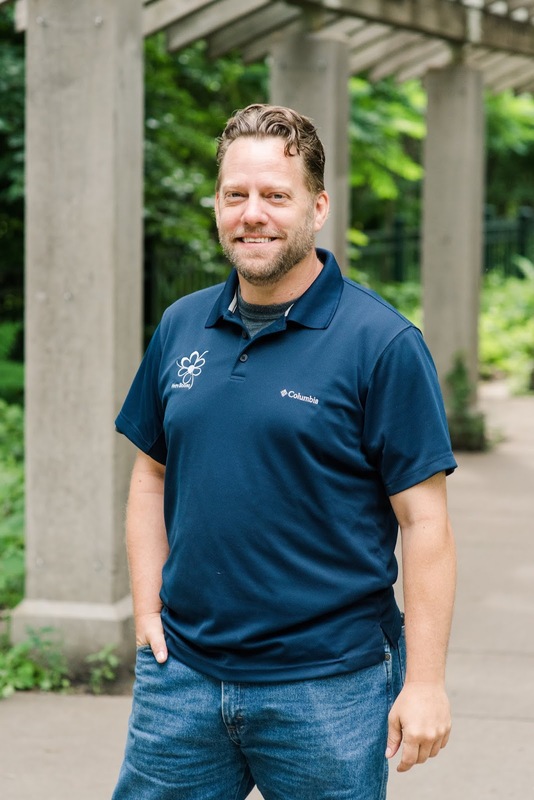 Rich has worked on water quality issues for 21 years, beginning in research at Mankato State U of MN, focusing o Transit Oriented Development and Organic Infrastructure. Since then he has focused on how to design landscapes yielding the most effective on-site treatment of stormwater to reduce downstream problems. Rich believes that education, facilitating understanding, will help move people to change their lives to embrace design solutions based on more diversity in our built environment.